This year, the annual Jagannath Puri Yatra will start at 6th July. This Hindu festival will be held in Puri city in Odisha, India. The oldest rath yatra in the world that dates back to 10th century is associated with Lord Jagannath and is celebrated on ‘Ashadha Shukla Paksha Dwitiya’ according to the Hindu calendar. The three deities of Jagannath, Balabhadra and Subhadra are taken out in a grand procession from their home temple, Jagannath Temple, to Gundicha Temple where these deities stay for nine days. Afterwards, the rath yatra carrying the deities returns back to the home temple. Rath Yatra translates to Chariot journey and is very important festival in Puri. Thousands of devotees come to Puri every year to be a part of this amazing rath yatra. During the festival, three well decorated rath (chariots) that resembles the structure of a temple are pulled through the streets of Puri that marks the journey of Lord Jagannath, Lord Balabhadra, and their sister Subhadra to Gundicha Temple which is their aunt’s temple. 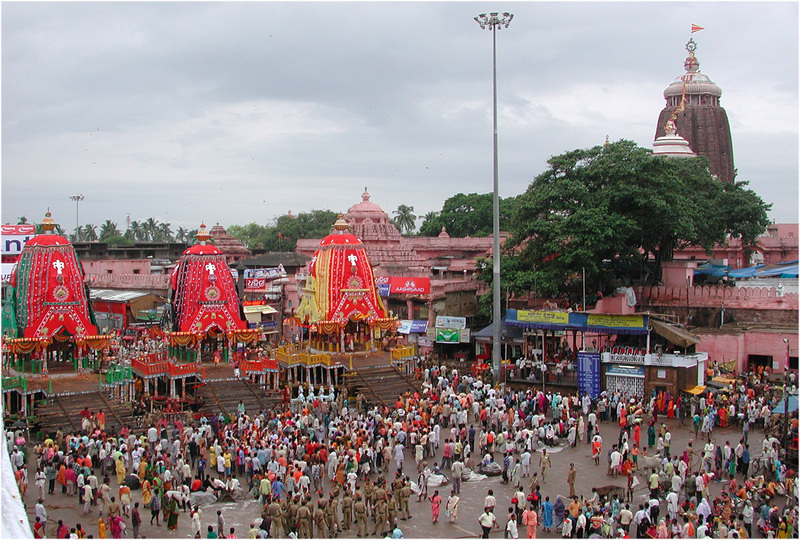 Thousands of devotees come to Puri in order to help pull the Lord’s Rath which is considered a sacred deed. Devotional songs among drums, tambourines, trumpets, etc are played throughout the yatra. Wood from special trees like phassi, dhausa, etc are used to create the three chariots for Balarama, Subhadra and Jagannatha. These chariots are decorated as per the unique scheme prescribed and followed for centuries stand on the Bada Danda, the Grand Avenue.